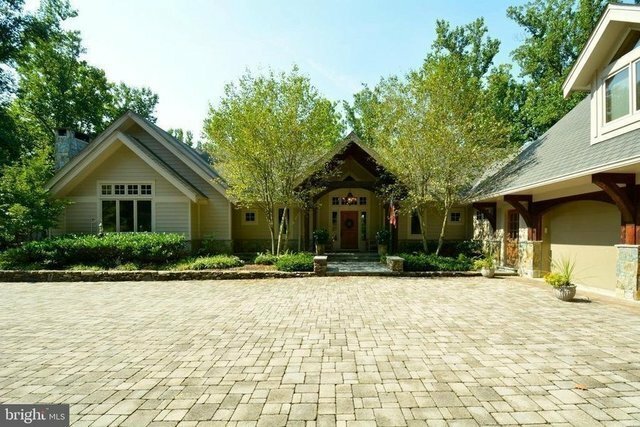 Custom Built Pegged Post & Beam home on private and secluded 5 acre lot. Wood beam cathedral and vaulted ceilings provide a unique and classy touch. Excellent floor plan for today's life style & entertaining. Main floor Master with deluxe bath (private outdoor shower!). Separate 2 BR guest quarters with LR & Kitchenette. Stone Fireplaces. Gourmet eat in Kitchen is a chef's dream come true. Great Room w/volume cathedral ceiling, dramatic 2 story stone FP, wonderful built-ins, piano alcove & spectacular vistas. Main level office/library. Entire main floor has heated floors. Walk out lower level to resort style heated swimming pool, hot tub and yard. Flagstone Gazebo with ceiling fan & lighting. Trex deck & outdoor fireplace. Oversized 3 car garage plus plenty of additional parking. Dog wash and hidden rooms! An ideal location for those needing privacy, entertaining, beautiful outdoor areas and a unique, classy home.